I just learned that inTAXicating has been nominated for the 2013 Canadian Blog Awards – under the law category. Voting ends February 22nd, 2014. The Canadian Blog Awards are a great way to recognize Canadian blogging talent. By taking the time to read other Canadian blogs and through your voting you are supporting Canadian writers. I checked out many of the other nominated blogs and voted in each and every category as a way to give back. Thank you in advance and please keep reading, commenting and asking questions! 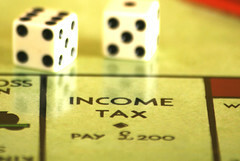 Also don’t forget to visit my webpage at http://www.intaxicating.ca for help with all your tax concerns. Claiming Gas or Mileage? How to avoid having this expense denied by the Canada Revenue Agency. Many taxpayers here in Canada are advised to “keep their receipts” when they claim mileage and / or gas on their tax returns. The thought here is that the Canada Revenue Agency (CRA) might audit your tax return and will deny your claim if you cannot show proof, but what are you allowed to deduct? Does it matter if you are self-employed or if you are a salaried employee? Did you know that just keeping your receipts is not enough and there might be deductions you are entitled to that you are not claiming? The CRA regularly rejects gas receipts from taxpayers who pay for their gas with debit cards. Why? Because they are not sure if you are getting cash back on the transaction – that does not show on the debit slip. Example: I go to fill up my car 3 times a week, and each time I put in $20.00 worth of gasoline, but get cash back of $80.00 each time. My debit slip reads $100.00, and I claim $300.00 worth of gasoline expenses for that week on my tax return when in actual fact I was only entitled to receive a deduction in the amount of $60.00. In addition, if you are required to travel a lot for work, make sure that you have a calendar at home and at the office (on the office computers) which show the location of the meeting, the name of the organization and / or people that you are meeting, as well as the purpose of the meeting (ie/ sales, cold call, delivery). Make sure that you track the mileage as well. This way when the CRA questions the high claims, you can show them with 100% certainty that your travel claims are for work purposes. It also helps to keep all the gas transactions on the same credit card for organizational purposes. It takes a little effort and organization but it’s worth it. Intaxicating Tax Services can be found @ http://www.intaxicating.ca and make sure to drop by our helpful blog here. Author Warren OrlansPosted on July 2, 2013 July 3, 2013 Categories Canada Revenue Agency, TaxationTags audit, Canada, canada revenue agency, CRA, credit card, deductions, denied, experts, gas, gasoline, income tax, intaxicating, Intaxicating Tax services, services, Solutions, tax, Tax return (Canada), taxation, vehicle4 Comments on Claiming Gas or Mileage? How to avoid having this expense denied by the Canada Revenue Agency. Employee or self-employed worker? Federal Court of Appeal’s 2-Step Process. It is important to determine whether a worker is an employee or a self-employed individual. Employment status directly affects a person’s entitlement to employment insurance (EI) benefits under the Employment Insurance Act. It can also have an impact on how a worker is treated under other legislation such as the Canada Pension Plan and the Income Tax Act (ITA). The facts of the working relationship as a whole determine the employment status. If the worker is an employee (employer-employee relationship), the payer is considered an employer. Employers are responsible for deducting Canada Pension Plan (CPP) contributions, EI premiums, and income tax from remuneration or other amounts they pay to their employees. They have to remit these deductions along with their share of CPP contributions and EI premiums to the Canada Revenue Agency (CRA). An employer who fails to deduct the required CPP contributions or EI premiums has to pay both the employer’s share and the employee’s share of any contributions and premiums owing, plus penalties and interest. If the worker is a self-employed individual and in a business relationship, he or she is considered to have a business. 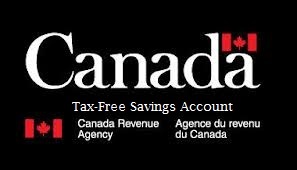 The best way to be sure if there is any doubt is to request a ruling from the CRA. A ruling determines whether a worker is an employee or is self-employed, and whether that worker’s employment is pensionable or insurable. If you have a payroll account and are registered on My Business Account, you can use the “Request a CPP/EI ruling” service in My Business Account. As well, an authorized representative for the payer can also request a ruling electronically through the Authorized Representatives Section of the CRA website, here. A payer or a worker can request a ruling by sending a letter or a completed Form CPT1, Request for a Ruling as to the Status of a Worker Under the Canada Pension Plan and/or the Employment Insurance Act, to their tax services office (TSO). Recently, the Federal Court of Appeal (FCA), in the case of 1392644 Ontario Inc. (Connor Homes) v. Canada (National Revenue), 2013 FCA 85 (CanLII) weighed in to reconcile competing tests on the proper way to determine whether an individual is a contractor or truly an employee through a 2-step process. This appeal in this case involved 3 women who worked for Connor Homes, a licensed operator of foster homes and group homes for children with serious behavioural and developmental disorders, as area supervisors and/or child and youth workers. Each worked under a contract that stipulated she was an independent contractor “responsible for payment of all necessary remittances, including CPP, EI and Taxes”. Each was paid at a specified hourly rate or flat rate that depended on the service provided and provided those services in accordance with the homes’ policies and procedures manual. The CRA ruled that each of these workers were engaged in employment for purposes of the Canada Pension Plan and the Employment Insurance Act., which Connor Homes disagreed with. In hearing the appeal, the FCA commented that the question of an individual’s working status has become increasingly important with the trend towards outsourcing and short-term contracts and the consequent effect on entitlements to Employment Insurance and Canada Pension Plan benefits. The Court also acknowledged that although the question is simple in theory, it is difficult to apply with any degree of certainty given its fact specific nature and the ever-changing workplace. Many employers also tend to categorize employees as independent contractors so they are not responsible for withholding and remitting CPP, EI and Tax to the CRA on behalf of the employee and to avoid being responsible for benefits. If the CRA determines otherwise, the employer is responsible for both the employer and the employee portions of CPP, EI and tax (plus P&I) until they are current. 1st step: Is there a mutual understanding or common intention between the parties regarding their relationship? This step generally will be determined by the written contractual arrangements and behaviour of the parties and is quite subjective. For example, is there a written agreement, were invoices issued for services rendered, was the service provider registered for GST/HST, were the income tax filings consistent with that of an independent contractor? 2nd step: Do the pertinent facts support that the worker is providing services as a business on her own account? The factors to consider include the level of control exercised over the worker’s activities, and whether the worker provides her own equipment, hires helpers, manages and assumes financial risk, and has an opportunity of profit in the performance of her tasks. This step is very objective. In this appeal, the FCA found that, although the parties intended their relationship to be that of independent contractors, they were, in fact, employees. The degree of control exercised over their work was the same as that exercised over employees, they were limited in what they could earn and they took on no financial risks. Although the individuals were expected to use their own motor vehicles, this factor was insufficient to outweigh all others. So if after this ruling and after a review of the CRA website, you are still unsure if you, or your worker is an employee or an independent contractor, then it’s best to get a ruling to be sure. Author Warren OrlansPosted on June 13, 2013 June 18, 2013 Categories Canada Revenue Agency, TaxationTags Canada, Canada Pension Plan, canada revenue agency, CPP, CRA, employee, FCA, federal court of appeal, income tax, Rulings, self-employed, sub-contractor, test1 Comment on Employee or self-employed worker? Federal Court of Appeal’s 2-Step Process.